Michele Scott is an American novelist of mystery novels under her real name and thriller novels under the pen name of A.K. Alexander. She writes the Wine Lover’s Mysteries and the Horse Lover’s Mysteries (aka Michaela Bancroft Suspense series). Michele has been writing ever since she was nine years old and her father encouraged her to become a writer. After graduating from the University of South California, Michele had a son and decided that it would be better to stay at home and write. Twelve years later, she finally got published. 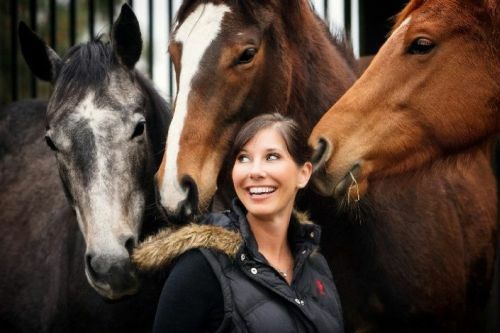 Michele owns eight horses (a common theme in her novels) and enjoys yoga, meditating and cooking. Note: Daddy’s Home, Mommy, May I?, The Cartel, Covert Reich and Blood and Roses were written as A.K. Alexander. The PSI Trilogy is written as A.K. Alexander and co-authored with J.R. Rain.